We talked with Erwin Yu, the Marketing Director at HostBuddy - a leading high performance web hosting provider since 2002. HOSTSEARCH: Erwin thank you for giving us an opportunity to talk with you today. Can you please tell us more about your background? ERWIN YU: I had worked for SafeNet. Inc and Northrop Grumman Corporation as a Securtiy Engineer. Through the study and hard-working in these two companies, I have absorbed a lot of advance technics in information security and have been using them in my own business. I have joined in HostBuddy for over 8 years and I believe that it is a good opportunity for me to work in a growing company. Now, we have a very solid and professional team in marketing and technology. HOSTSEARCH: Can you please tell us more about the company? ERWIN YU: Our company has been established in 2002 in California, and now, we operates at three different World-Class Data Centers that meet our strictest criteria. 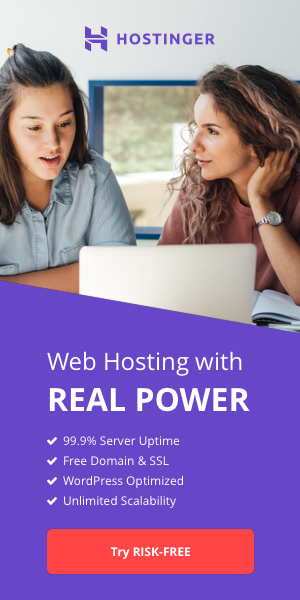 With over 12 years of experience, we have been providing the most affordable and reliable hosting service to customers all around the world. ERWIN YU: Sure, now, our major products are shared hostings for individual site owners and companies with small and middle business. And we also sell domains to customers who may need a domain. In addition, we provide virtual servers for large and busy sites. If you are interested in our products, you can simply visit our official site at hostbuddy.com. 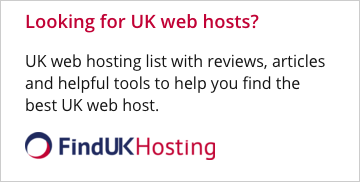 HOSTSEARCH: You're also offering Free Web Hosting, can you tell us more about this offer? ERWIN YU: Yes, we do provide free hosting to face the fierce competition nowadays in hosting field. Our free hosting doesn’t require any credit card information, it is open to anyone who needs them. We designed the free one mostly for tiny websites and those who are new to web hosting. We believe that the new customers would know us better through the free product and they would be our paid clients in the future after trying our service. HOSTSEARCH: I noticed HostBuddy had built-in Content Delivery Network service. What are the advantages to the customers using this service? ERWIN YU: A content delivery network or content distribution network (CDN) is a large distributed system of servers deployed in multiple data centers across the Internet. The goal of a CDN is to serve content to end-users with high availability and high performance. In simple words, web sites could be speed up by using this service. HOSTSEARCH: What is the 1-Click Installer? How does it works? ERWIN YU: 1-click Installers are latest and hottest free .net and php applications we selected for our customers. They can simply install their favorite applications such as wordpress, nopcommerce by a simple click without downloading/uploading the installation package. ERWIN YU: We are now one of the fastest growing and debt-free web hosting company in the industry. In the face of competitions and opportunities, we would try more to optimize our products and service. To meet different requirements from different customers, we would differentiate our hosting products more specifically. Also, we should keep attracting talents to consolidate our team to make us the most competitve hosting company in the world. HOSTSEARCH: Let’s talk about customer support. What kind of support should HostBuddy’s customers expect? ERWIN YU: Our support team is running 24*7, customers can contact us via our live chat and Helpdesk at any point of time in a day. HOSTSEARCH: Thank you for a wonderful talk. We hope to see your success in the coming years. ERWIN YU: Thanks, nice to talk with you too.